We are able to offer a number of resources to help inform and demystify eating disorders. Our website holds a wealth of information, and links to other resources. Or contact us to talk about how we can help. Although food is a key component in Eating Disorders, we recognise that Eating Disorders are not 'all about food'. However, whether the disorder is Anorexia Nervosa, Bulimia Nervosa, Compulsive Eating or a mixture, the commonality is that eating disorders are all 'coping mechanisms'. They are expressions of psychological and emotional problems in which sufferers use food, albeit in different ways, in an attempt to cope with and manage their distress. Estimates of the prevalence of eating disorders within the United Kingdom vary. The current estimate from the UK's National Eating Disorders Association suggests a figure of 90,000 individuals receiving treatment for either anorexia nervosa or bulimia nervosa at any given time in the UK. Further estimates put the total number of cases (diagnosed and undiagnosed) of anorexia and bulimia nervosa within the United Kingdom to be 1.5 million (EDA 2000). A study commissioned by Beat and produced by PwC in February 2015, estimates that more than 725,000 people in the UK are affected by an eating disorder (this used a more robust methodology than previous studies). The National Institute of Health and Clinical Excellence estimates around 11% of those affected by an eating disorder are male. The Health and Care Information Centre published figures in February 2014 showed an 8% rise in the number of inpatient hospital admissions in the 12 months previous to October 2013. The Costs of Eating Disorders report found that this is indicative of the trend in increasing prevalence over time: a 34% increase in admissions since 2005-06 - approximately 7% each year. Before the latest change in diagnostic criteria, it was estimated that of those with eating disorders, 10% were anorexic, 40% were bulimic and the rest fall into the EDNOS category, which included Binge Eating Disorder. Many current estimates do not include compulsive/binge eating in their totals as this eating disorder has only recently received recognition; consequently the numbers suffering from eating disorders in the UK are likely to be much higher. 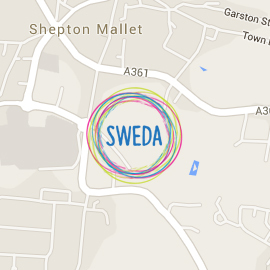 SWEDA estimates that around 5000 people in the county of Somerset will have a clinical eating disorder with a further 5000 having an eating disorder that has a significant impact on their life and health. This includes women of all ages, the majority being between 14 - 35 years of age. Around 10% of sufferers are male. Eating disorders impact on family and friends of sufferers so the estimated figure for need in Somerset could be in the region of 50,000. Despite there being a great deal of written material, research papers, and personal accounts, as well as several sets of 'Diagnostic Criteria' relating to eating disorders available, views on eating disorders vary and researchers and experts have yet to agree on a definitive model (or, indeed, treatment approach). It is fair to say that, in the area of eating disorders, a clear understanding remains elusive and uncertainty still persists in many areas. In light of this, the process of coming to terms with and 'understanding' eating disorders for sufferers and their carers can be extremely confusing. We have compiled a selection of 'further information' on eating disorders. It is neither exhaustive, nor authoritative and does not represent a model in itself. You may find parts of it is a bit complex and scientific, perhaps some a little light hearted and some possibly a little alarming (particularly if you are new to exploring eating disorders and the issues around them). In the end however it is provided in the belief that recovery is possible and with the intention of enabling people to start to explore, begin to understand and, hopefully, begin to think about recovery. Ultimately, we hope that perhaps you might find it encouraging. The field of eating disorders is complex and there exists a variety of views, theories and opinions - eating disorders are by no means fully understood. Our intention here is to provide a range of views (academic, professional and, importantly, from the perspective of personal experience) and a starting point for those trying to begin to understand eating disorders. We hope you will find it useful.